Cute film photos. Marmalade on toast. Let Paddington warm up your winter. The whole world is queuing up to meet this little bear. But now he’s here in colour, just for you. He has a label round his neck. Do you know what it says? ‘Please look after this bear’. How can you resist? Psst: we’ll let you into a secret. 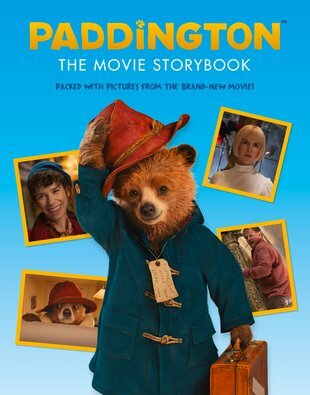 Paddington loves adventures nearly as much as yummy marmalade. If you look after this book well (and try to read it on your own), he’s sure to take you on some.